Newer: » Tatiana Rivero Participates in Miss Piel Dorada Internacional!! 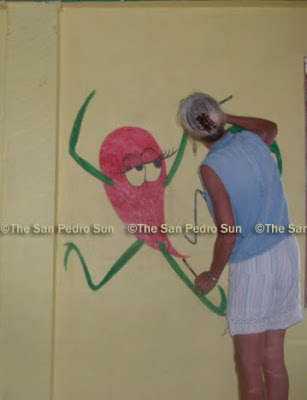 Work at the San Pedro Roman Catholic School is ongoing. 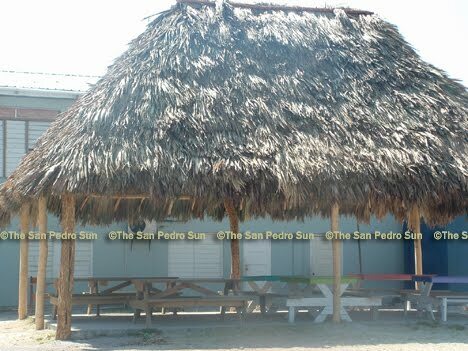 With the mural being painted at the school's cafeteria and the addition of a palapa, students should return to classes with surprises awaiting for them. 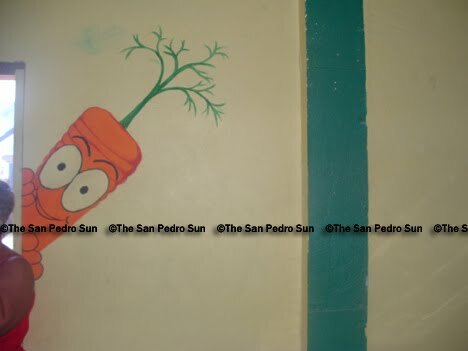 Valley Ruddick painted a beautiful mural for the school's cafeteria. The palapa is done after a week since its commencement. Major kudos to Mrs. Eve Dirnback and Fido's for a job well done. 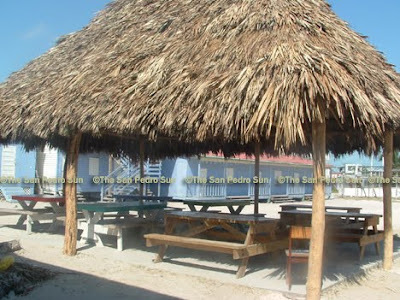 The students now have a place to relax under some shade during their breaks or when having class meetings.